Another tasty treat, the deep fried cheese sticks wrapped in wonton wrappers (£4) were very moorish with the sweet chilli sauce cutting through that lovely hot melted cheese. 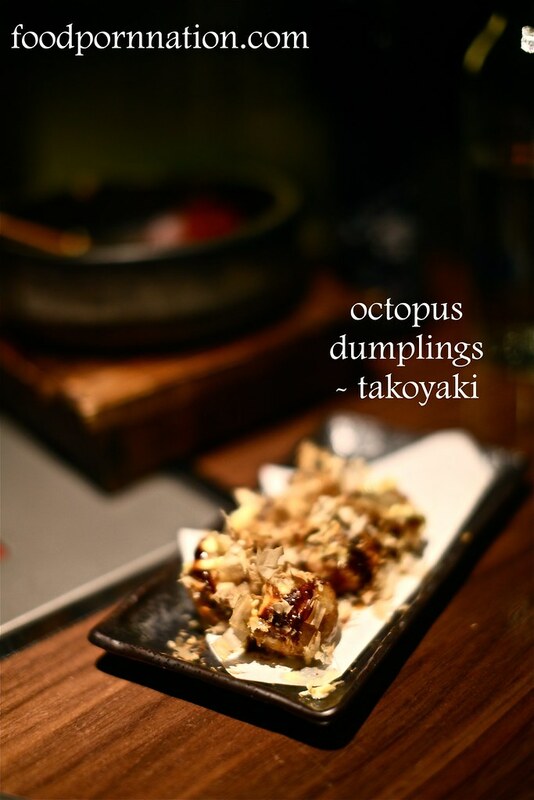 Octopus dumplings – takoyaki (£5) was delicious and filled with generous pieces of octopus meat. I am typically not a fan of takoyaki as they are usually contain a grainy and starchy texture but these were exceptionally good. 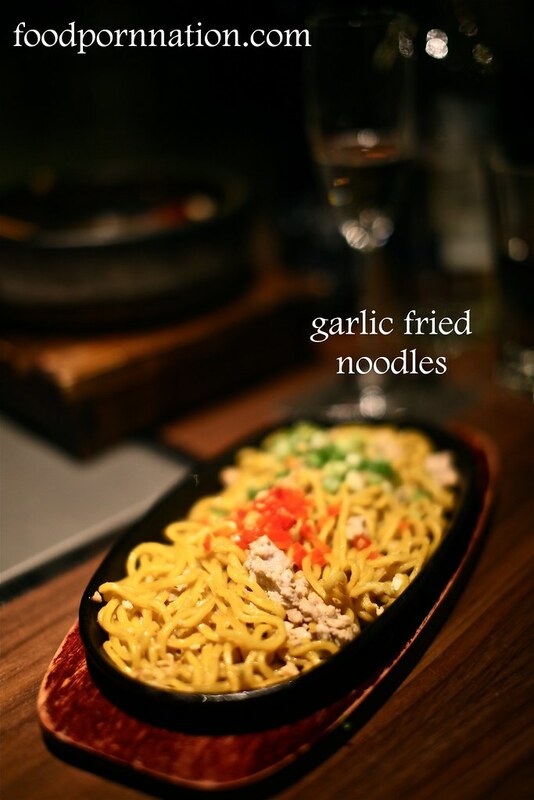 Unfortunately, our least favourite item on the menu was the garlic fried noodles (£7), we found that the flavours were not as robust nor as excellent as the other dishes. 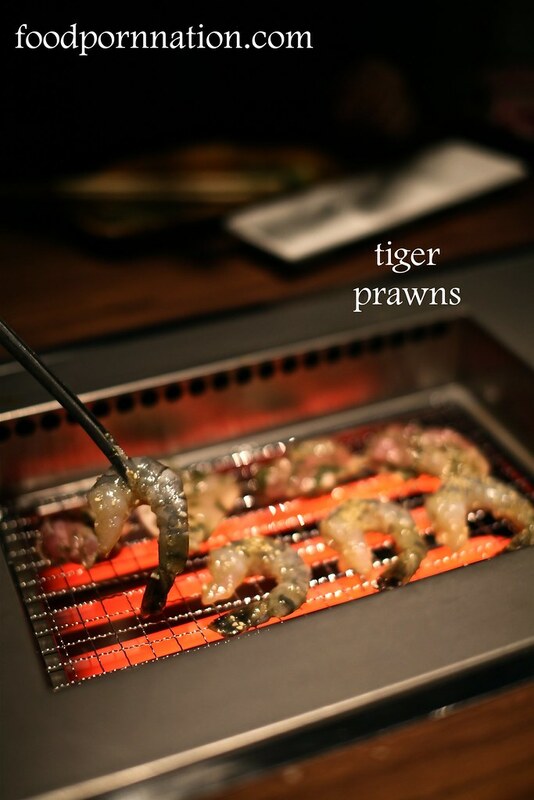 Moving on to the yakiniku, we sampled a variety of meats and seafood. Overall the quality of the meat was absolutely superb. I’m normally not a fan of BBQ’s in general as they tend to compromise on the quality of meat and seafood but the quality here was nothing short of spectacular. You can really taste it in every mouthful. 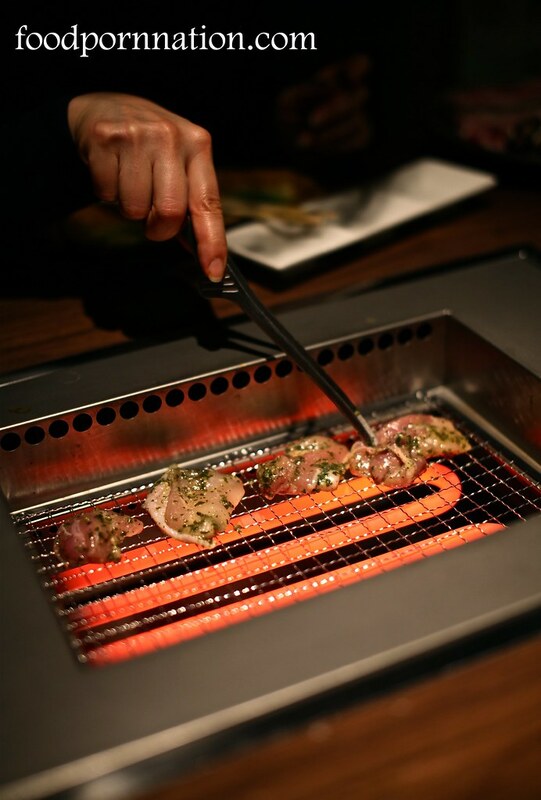 On top of this, what made the taste of the yakiniku really special was the dipping sauces, my personal favourite was the sweet soy and that lovely grilled flavour that perfumed the meat throughout the cooking process. All together, this truly was a spectacular flavour bomb! 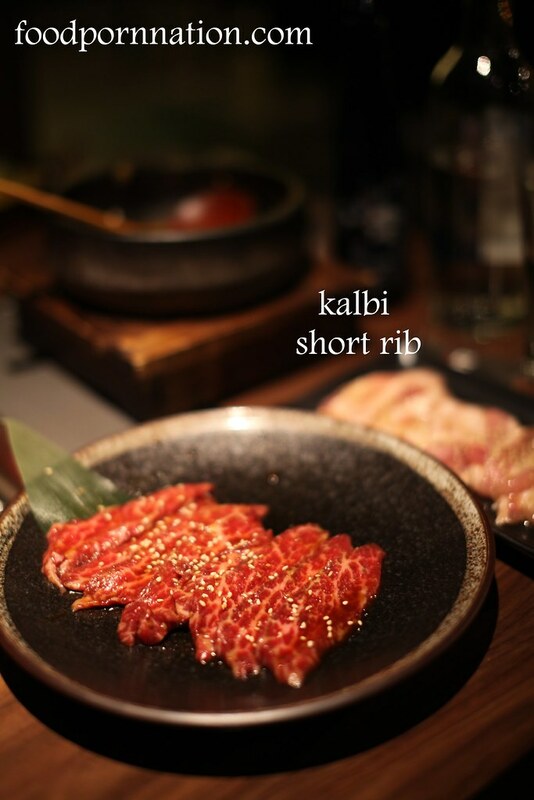 We began with the Kalbi premium short rib (£10), the flavour was excellent, high quality and succulent. 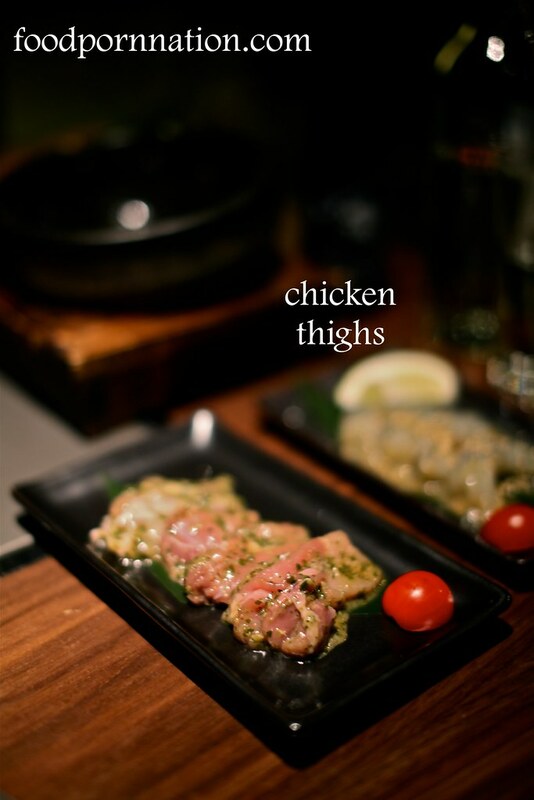 The chicken thighs (£5) were equally as succulent, tender and tasty. We also enjoyed the prawns (£7) marinated in garlic which came with tonnes of flavour, firm and beautifully textured. We ordered two serves of garlic prawns they were that delicious! 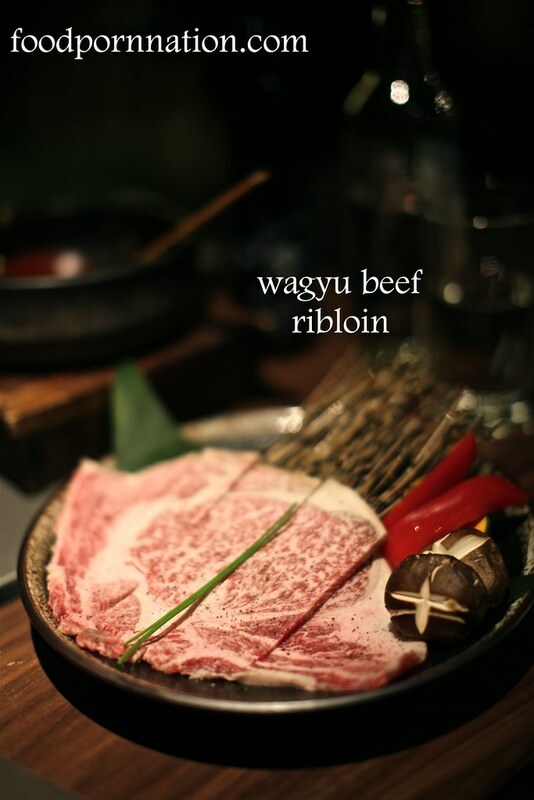 If you are prepared to get really indulgent, the Japanese wagyu ribloin is the way to go (£24.5). 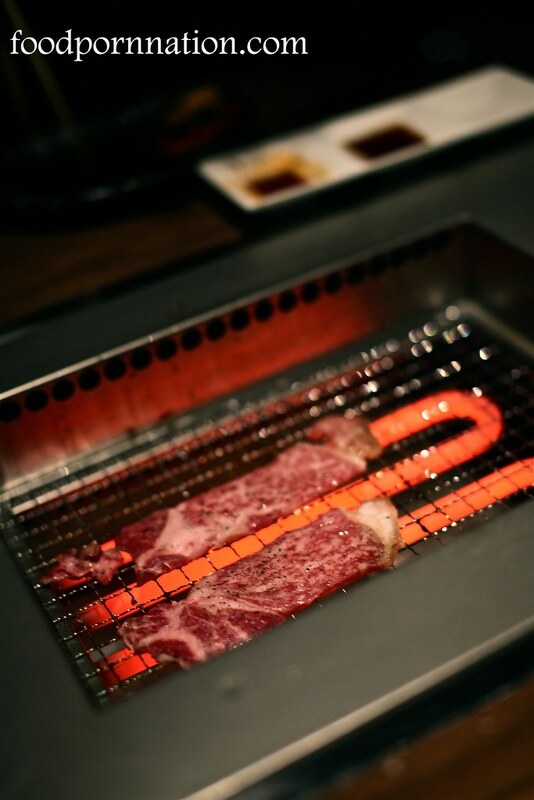 The meat is bursting with flavour and the quality of the wagyu is a cut above the rest given its premium quality. It is lipsmackingly good it is so fat-tastic! The delicious taste of the fatty beef was enhanced with the smokey grill flavour, absolutely sublime. 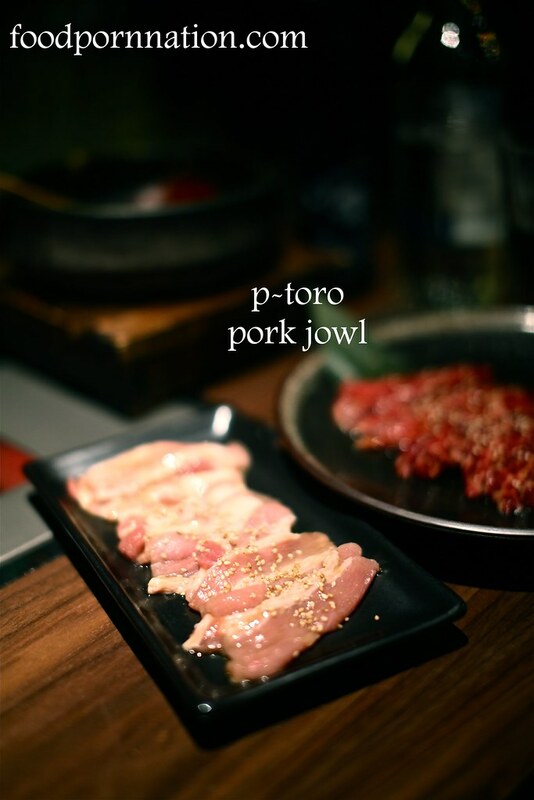 We really enjoyed the pork jowl (£7), the pork was gloriously fatty and deliciously marinated with a touch of sesame making it beautifully nutty and aromatic. 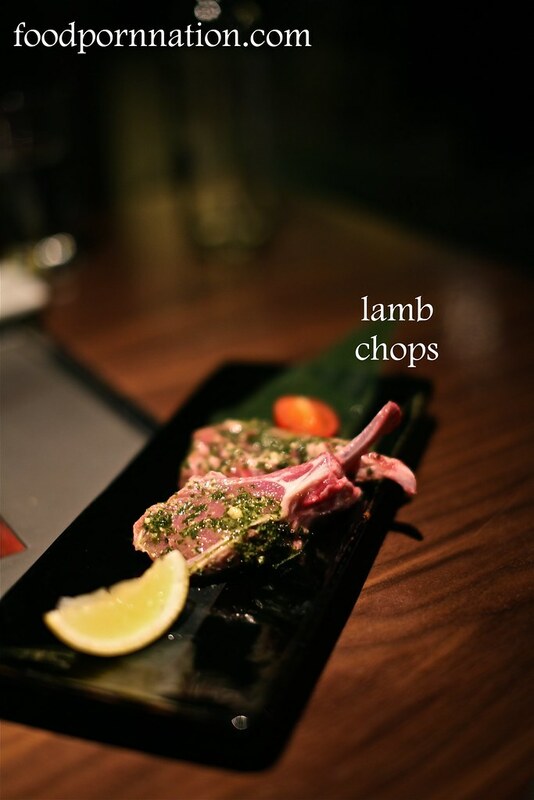 We also loved the NZ lamb chops(£8). These were so succulent, tender and so full of flavour they did not require any additional sauces. They were beautiful just as they were. 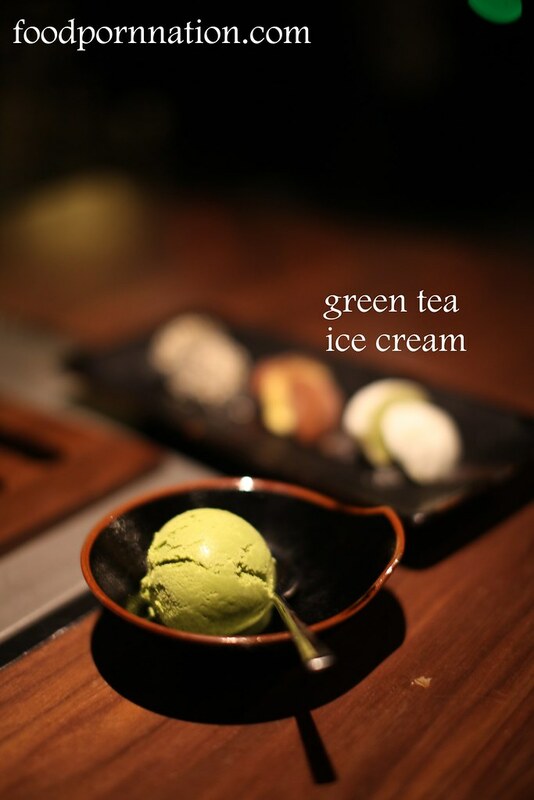 For dessert, we enjoyed the creamy green tea ice cream (£3), this had a rich matcha flavour with that signature bitterness. The assorted mochi (rice cake) ice cream came with sesame, salted caramel and green tea flavour our favourite being the salted caramel mochi. 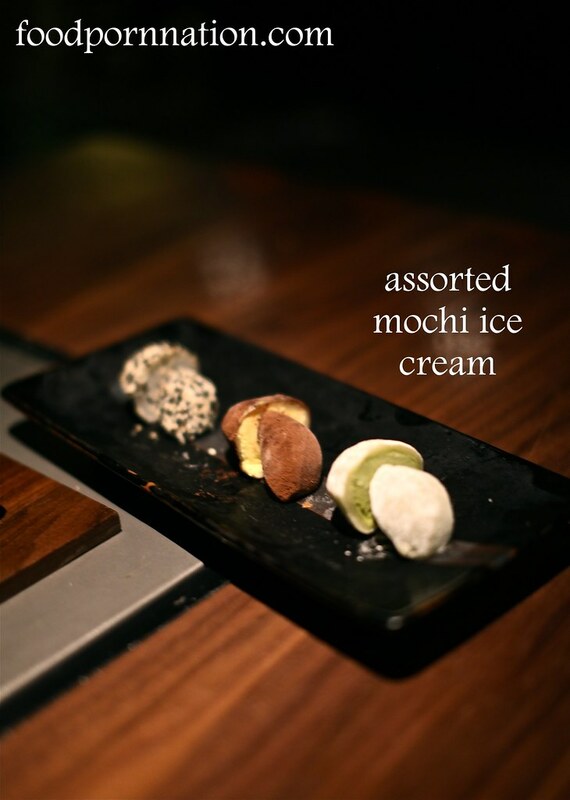 If you have never had mochi ice cream before, it is essentially a pounded sticky rice and inside is an ice cream filling. 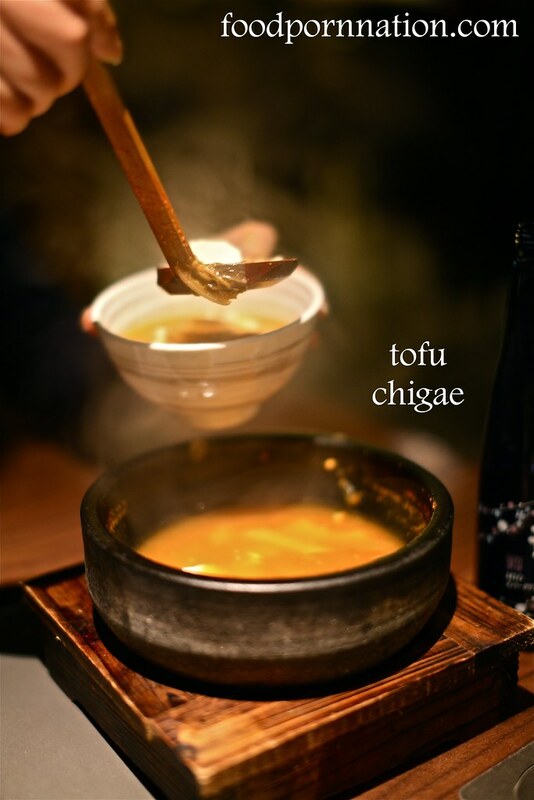 It is one of my favourite Japanese desserts and they are hard to find! 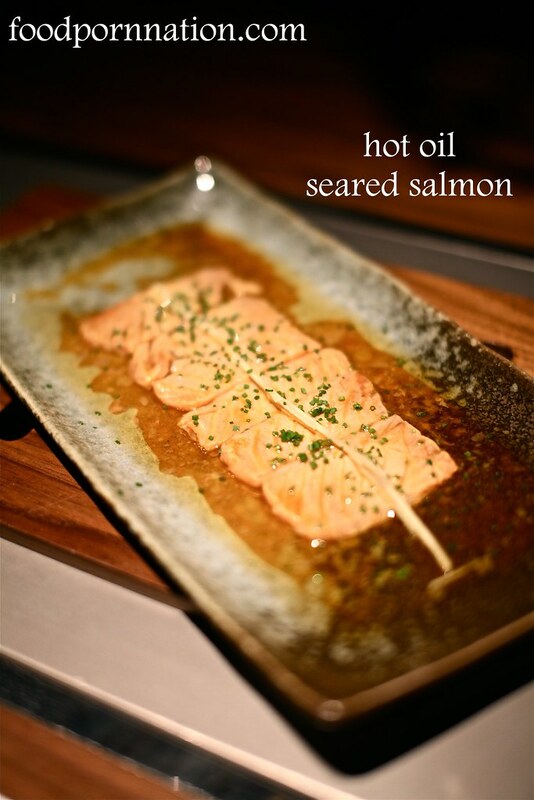 So you must give this a try if you yourself dining at Kintan. The dining experience is definitely one of the more interesting and unique experiences I have ever had. I sincerely could not fault any of meats from yakiniku menu, they were simply outstanding and the food was incredibly tasty. The service was attentive and completed with care. I also liked how they went to the extra effort to change our grills to ensure that our grilled plates did not become overly charred and burnt. 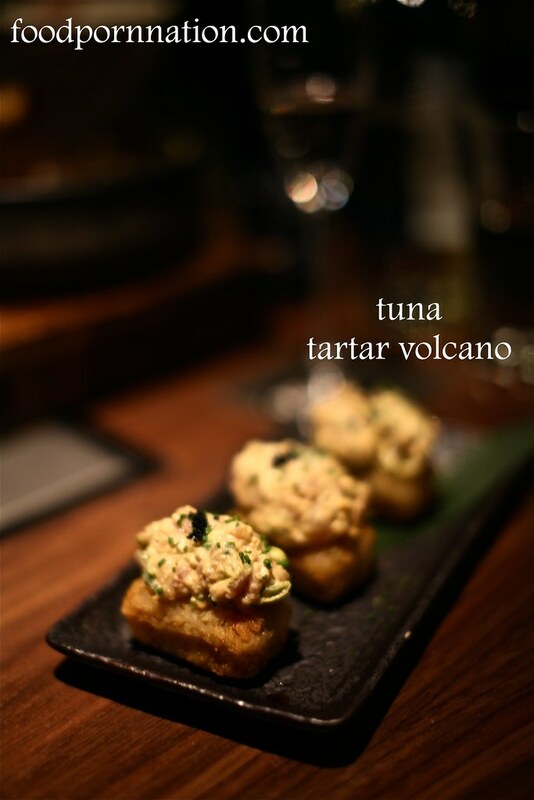 I highly recommend you go for a fun and delicious night out. I can’t wait to go back I am already planning my next visit! Prices: Approx £50 per person excluding drinks and service. There are also some reasonable set price menus on offer too. 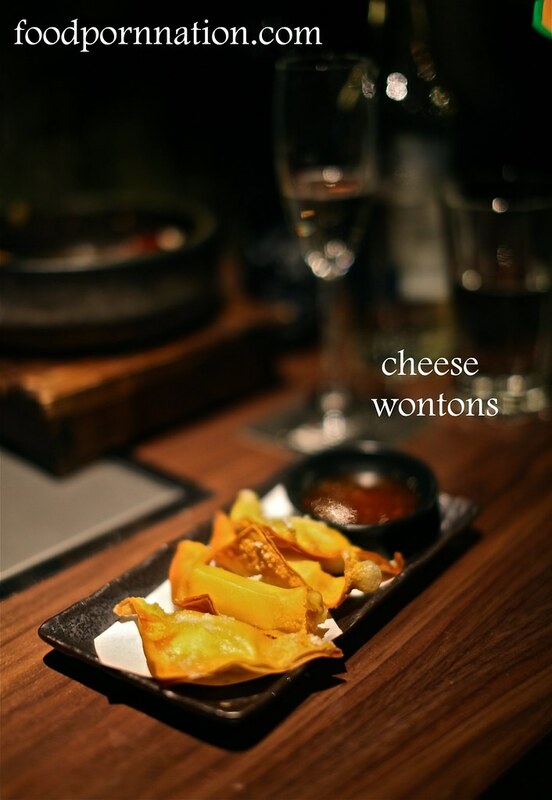 Kalbi short rib is always a favourite for me and you can’t go wrong with deep fried cheese! Yes kalbi short rib was awesome. That and the wagyu! !